In less than a month I have read the entire Hunger Games trilogy and watched the first film for a third time. My head is now so full of this stuff that I have to give the trilogy its own post in my popular “social commentary” series. It has been a while since I have done one of these so it’s probably about time I came back to it. The major issue, and what is immediately clear from the moment we know that Katniss has been chosen for the games, is the showmanship behind it. We spend weeks reading about their training for what is a fight to the death of course; but much more of the text is given over to how much celebrity culture is a part of the games. They have to appeal to the sponsors, to prove that they have a fighting chance and are worthy of medicines, food, extra supplies and anything else the gamemakers are willing to spend money on. It is also a big money spinner for the betting public. Then we have the interviews. The Tributes are paraded before the audience like contestants going into the Big Brother house. This is startling because we all know that no matter how much we humanise these kids, give them a voice, a background, a personality, desires, hopes and dreams… the ultimate aim is to watch them slaughter each other until there is just one left – the winner who will be showered with financial accolades and made into a superstar for the next 12 months. In the books this is far more involving. Each contestant is given a persona based on their physical appearance, the district they are from and their background. For example, the girl we know only as “foxface” from the first book is very much presented to the public as wily. The choice of clothing from her stylist reflects this and when we look at the interviews, they are coached to emphasise this. This is incredibly reminiscent of the boy and girl bands of the last couple of decades where they are given specific personas to play up to for the media, a marketing device. This does not stop once they are inside the arena. Witness the insistence that Katniss must kiss Peeta in order to get medicines for his injuries. A half-hearted kiss gained her a container of broth, the more full-on passionate kiss that followed earned the medicine. Haymitch’s advice was far more about pleasing the crowd and the gamemakers because their support is often the more important aspect of the games. It is all very well and good being an efficient killer but when you cannot find water, your dagger will be no good. In the immediate aftermatch of the games, the cameras do not leave Katniss and Peeta alone. There is even talk of a celebrity wedding (though this is manufactured by Snow as a political device that he thinks will tie her to The Capitol and quell the rebellion – especially if she has children). They are hounded 24/7 and their celebrity status is given even more prominence in view of the unusual nature of the joint victory. The cameras are there to capture their every fleeting moment of (staged) romance. Any moment apart and they are shown upon their reunion as falling into each other’s arms and kissing passionately. At the stage, Katniss is still not sure of her feelings for Peeta and is still torn between him and a piece of talking plywood called Gale. This was a suggestion made on the DVD, the idea that a big bad centralised power is sending other people’s children into a war not of their making – using the innocents as weapons to quell any potential uprising. I didn’t really get this and I disagree. What The Capitol is doing is turning the children of the potential rebels against each other. The threat that they could do much worse if the Districts do not play along is ever present so they are compelled in the arena to fight to the death – to maintain the status quo. This is an internal war, to keep suppressed an enemy within, not the aggressive imperialism and expansionism that GWB was accused of. Not so much an issue of social commentary but of parallel with a former imperial power. The gladiatorial games of Rome served many purposes. It was a form of entertainment, for certain and it had a great cult of celebrity status in its time with favoured men betted on and odds offered. Women swooned around them and gladiators could enjoy the adoration of the crowds for as long as they were alive. Those who survived fight after fight could enjoy the sort of celebrity adulation of cult following afforded to professional sport stars, actors and other celebrities. Some were honoured by emperors with ostentatious burials and commemoration stones. One of particular note, Flamma, was awarded the prestigious rudis four times (wooden sword). Most of the gladiators were not citizens; they came from the provinces. Many were criminals or had sold themselves into slavery to pay off a debt. They were certainly not the cream of society yet for a brief period they were treated as such. The games were also highly political. Because they were such an intrinsic part of society and expected as part of any public celebration, with each new Emperor it would be commanded that x amount of days of games would mark the inauguration. It was the Jubilee celebration, a coronation, The Last Night of the Proms and Christmas Day festivities all rolled into one – not to mention their religious significance at times. It may also have served as a reminder to political rebels what might happen to them if they got a few ideas above their station – you will be partaking in the games as a contestant. A militaristic empire that had no army within the walls of the capital city, this is very much reflected in The Hunger Games. I touched on this in the Katniss character feature so I will go at it from a slightly different angle here. Aside from the metaphor that the mockingjay represents (see link for further details), it is the importance of symbols to rally behind in the face of adversity. The people care nothing really for what Katniss is; they are only interested in what she represents. Her pin badge was a bird, already an embarrassment to The Capitol because of how it came about, represents on different levels something that refused to play the games on the terms of The Capitol. It also became a symbol of unity between Katniss and her ally, Rue. In Catching Fire it had become such a potent force of the rebellion that The Capitol banned it. Cinna made it his last act of defiance for her to be transformed on stage at the interviews into a Mockingjay and the rebels rallied behind Katniss, wanting her to become their Mockingjay (something that she refused until way into the final book). The idea of Katniss as Mockingjay again elevated her to a higher level, a celebrity warrior appearing at sites that were bombed and appealing for the Districts to rise up. They needed her to transform. 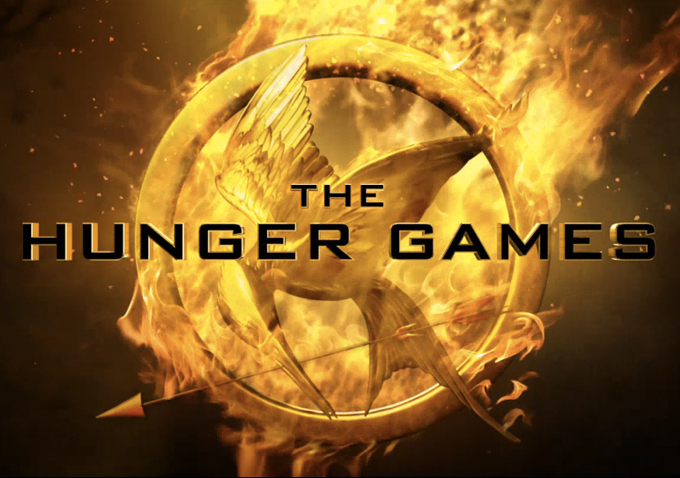 To be mere Katniss Everdeen was not enough; they needed a higher symbol and so she became the Mockingjay. There is so much subtext in these books that they will have you thinking about it for many years to come.